I am a dynamic multimedia journalist and producer with 15 years experience working in visual communications for leading UK and international development charities, global media outlets and corporate businesses. I’m driven by telling compelling stories and love using multimedia to connect audiences to other people’s lives. My photography work has taken me from Devon to Zimbabwe and from covering cholera outbreaks to traditional cider making. I’ve driven 4,000 miles across the Sahara Desert in a £100 Lada for the BBC, sped along the winding Tuscan roads for Aston Martin, infiltrated flower farms with poor working practices in Kenya for Marie Claire and spent time in feeding clinics in Niger reporting on the food crisis for Save the Children. With the experience of heading up Save the Children’s photography and film team, working as a picture editor on photography projects for NGOs, picture editor at Channel 4 and having worked on the picture desk at the Sunday Times Magazine I’m also pleased to offer my skills in developing and delivering visual communication strategies, commissioning photography and film projects and running visual communications training for NGOs. Clients include UNESCO, World Vision and Save the Children. Working in Tawakal camp for internally displaced people in Bosaso, Puntland, Somalia. I deliver well told, compelling stories through the use of photography, film and multi media for international NGOs, corporate clients and mainstream and specialist news media outlets. I provide high quality photography, film and first person interviews. 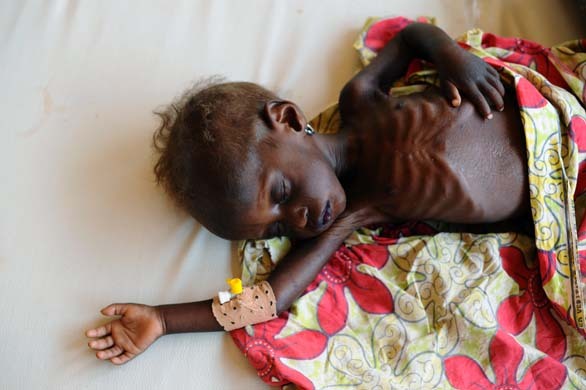 Based in Niger for two months I covered the severe food crisis for Save the Children to make the world take notice of this forgotten crisis. Compelling multi media drove the campaign and contributed to engaging the international media – including Sky News, BBC Radio 4, BBC online, Channel 4 and the Guardian. This helped and raise hundreds of thousands of pounds for Save the Children’s appeal to save children’s lives. I develop and deliver visual communications strategies to help build a client’s audience and connect them with the development or humanitarian issue, using traditional, social and digital channels. The problem – how to connect a UK audience with the lives of others living the other side of the world. 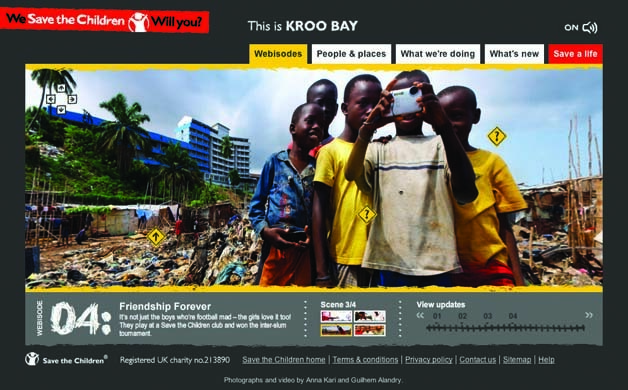 The solution – I produced the award winning site ‘This is Kroo Bay’ that brings a slum in Freetown, Sierra Leone to the living rooms of Save the Children’s supporters using 360 degree photography, film and audio. By logging on, the public can take a tour of Kroo Bay, meet the residents and hear their stories. This ground breaking project had 12,000 visitors in just one day and built up a devoted following. Read some of the reviews – Osocio, The Rights Exposure Project, and Olympus User. I love sharing what I’ve learnt in my 14 years of experience working as a picture editor for leading media organisations like Channel 4, The BBC and The Sunday Times Magazine, as a freelance multi media journalist, and heading up international NGO Save the Children’s photography and film team. If you want to tell compelling stories through multi media to engage your audience I can provide training to give you the tools. I was asked to provide communications training to Save the Children in Ethiopia and develop a communications plan for their ongoing work. The participants had a huge range of experience in the development and humanitarian fields but very limited communications skills. The task was to increase their communications skills. This included good story telling, writing, taking better photos, the basics of photo editing and using the best images, making words and pictures work together, setting up assignments, interviewing skills, basic filming, media training, social media and blogging. The training was a combination of classroom based theory and a real assignment to put the theory into practice.